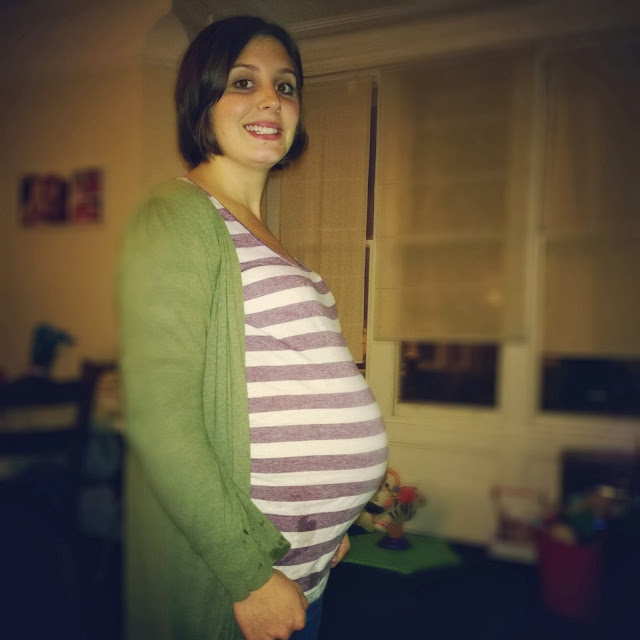 Mummy's Little Blog: 39 weeks pregnant plus a few days! Ok so its getting scarily close now, I am going to have a baby within the next two weeks. To say I am ready is a huge understatement but I will be ready when the time comes! I am currently 39 weeks pregnant I don't think I look it but definitely feel it sometimes. I still am suffering with a bad back that gets worse at odd times. I often wake in the night and cant turn as my back is hurting so much. In Denmark I was sleeping on a sofa bed which was more comfortable than my bed and since coming back Saturday I realised how unfriendly to pregnancy my bed is. I wake up with bad breathlessness and generally feeling uncomfortable after a nights sleep. But I am excited, I am excited about having a baby that doesn't move and I can leave in one place and know he wont move, although with that properly cant leave him as he will get trodden on by his older sister! I wont see the midwife until next week when 40 weeks so hopefully wont see them till after baby is born. I have been disappointed with the care I have received from this pregnancy. I have had 4 different community midwifes and my worst pregnancy but I suppose because its my 3rd they expect me to know it all. The most annoying thing about this stage of pregnancy every pain I think I am going into labour no fun lol! its all about waiting! The only thing I havent got is a sling that I find comfortable, so if you have any suggestions of some that do not kill your shoulders let me know. thanks yes not long to go every pain is me thinking ive gone into labour lol!